Aside from Chael Sonnen, Nate Marquardt would also like to have a piece of Michael Bisping. Through all the trash talk, spitting and other antics, Michael Bisping was able to make himself a MMA villain that he is today. After his TKO win against Jorge Rivera, the controversy becomes magnanimous inside the media circle. Following Bisping’s spitting act, Rivera’s camp described that his actions were “deplorable” and “disrespectful”. Hence, aside from Chael Sonnen, Nate Marquardt confirmed his interest to duel against Michael Bisping at MMAWeekly Radio. But despite all that, Nate Marquardt believes that Michael Bisping’s “knee from down under” was not intentional as what the rest of the MMA people think it was. But it is just where it ends for the TUF alumnus. Beyond that issue, Nate Marquardt pointed out that Michael Bisping’s actions do not represent those of a true martial artist. As of the moment, Michael Bisping doesn’t have an opponent yet for his next fight. 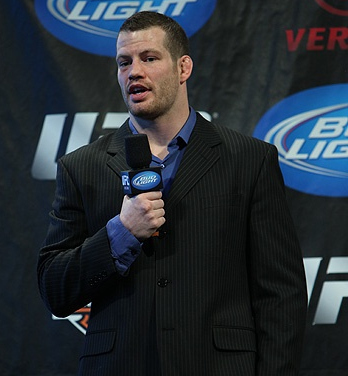 On the other hand, Nate Marquardt is set to meet Dan Miller at UFC 128: Shogun vs Jones. If ever he is able to pass his opponent, then he can put himself in a slot to fight Bisping next. Chael Sonnen vs Michael Bisping, UFC's Next Attraction?